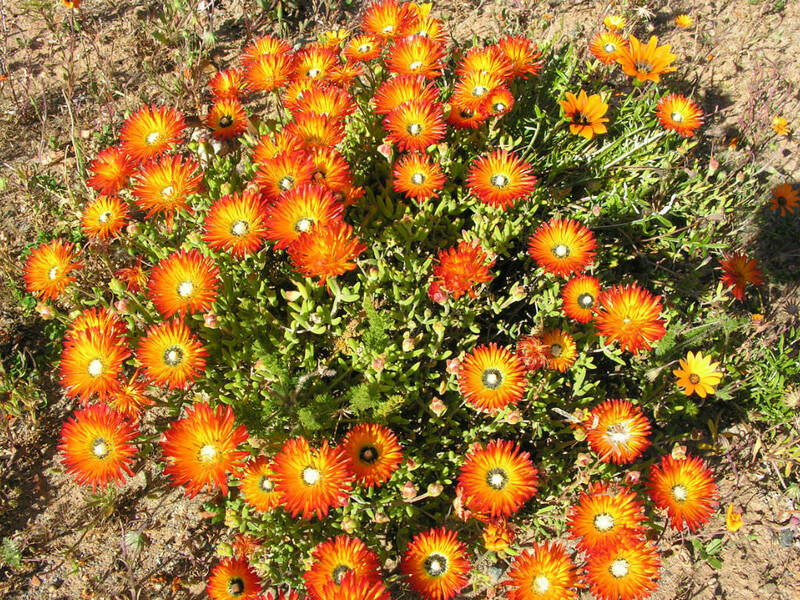 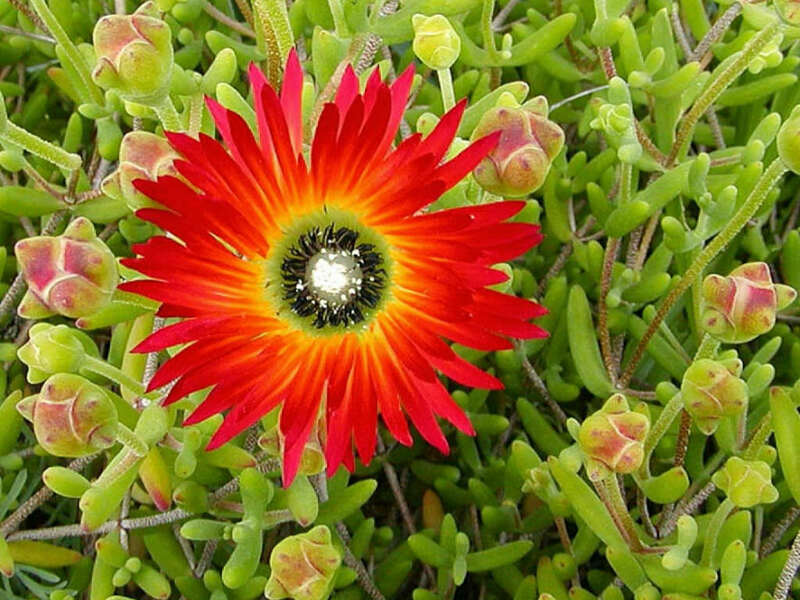 Drosanthemum speciosum is a very colorful, low-growing shrublet that grows up to 2 feet (60 cm). 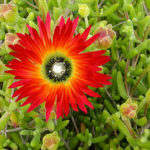 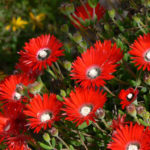 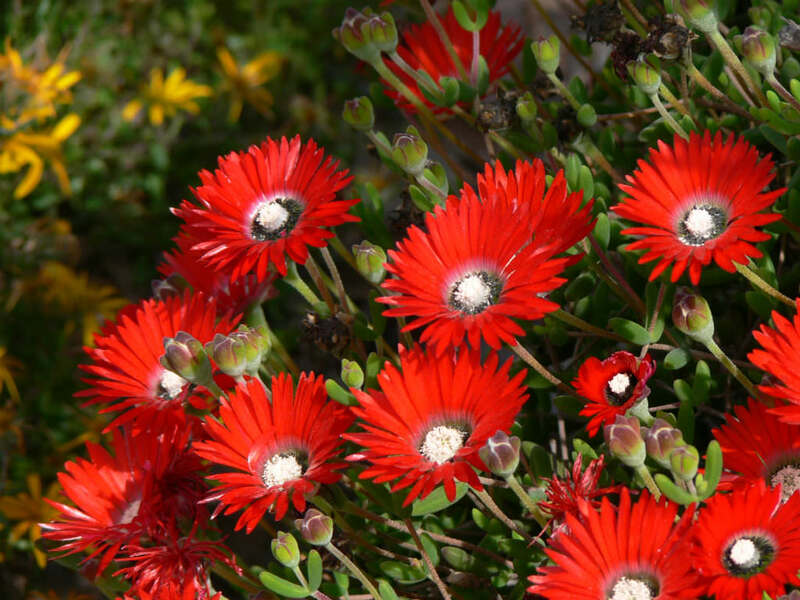 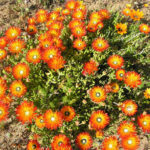 They are fast-growing with small succulent leaves, and the scarlet, yellow or orange flowers bloom in spring to summer. 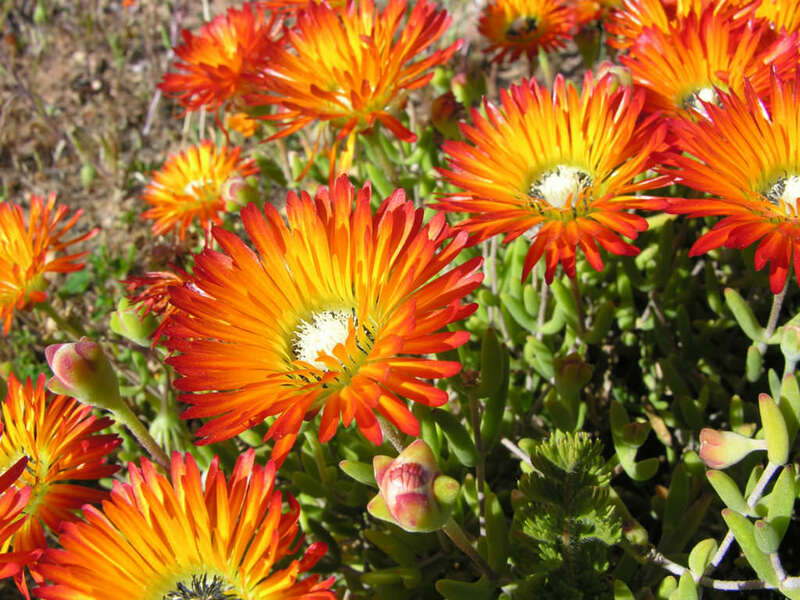 Flowers open in the afternoon only, and may stay closed on cloudy cool days.